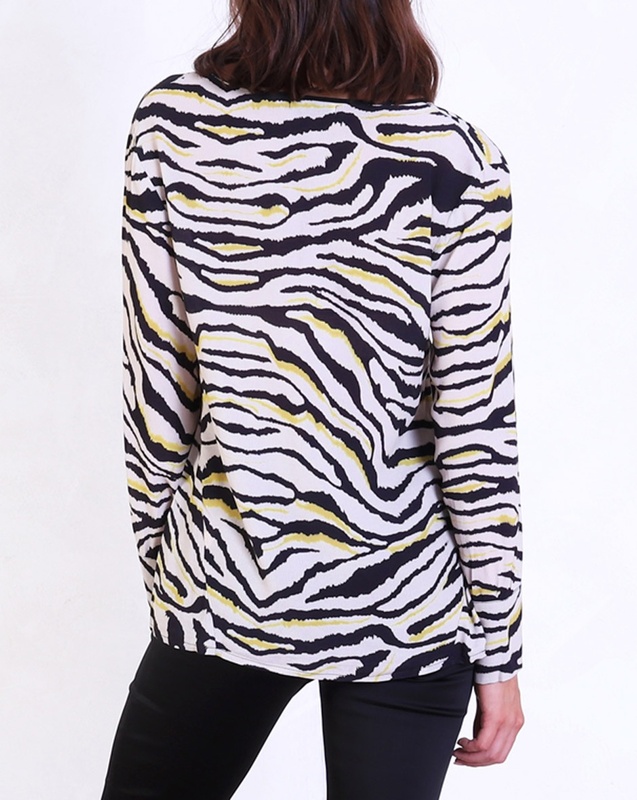 Effortless easy drape top in statement zebra print with yellow highlights. The wide V neck and slightly arched front hem make add flattering shape to the top. We love the double button detail on the sleeve.